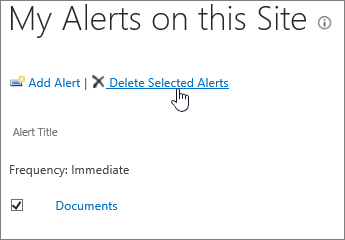 You can get an alert whenever a file, link, or folder is changed in a SharePoint Online document library. Depending on the item (file, folder, link), you may see different options when you set an alert. Open the document library and hover over the file, link, or folder for which you want to get an alert, and click the check mark. Click the ellipses (...) to the right of the item name, and then click Alert Me. In the Alert me when items change dialog, select and change the options you want. For settings and descriptions, see Alert Options below. You can get an alert whenever any file, link, or folder changes. Depending on the item (file, folder, link), there are a few different alert options. Open the SharePoint Online document library and make sure no items are selected. Click the ellipses (...) on the toolbar at the top of the page and then click Alert Me. In the Alert me when items change dialog, change or fill in the options you want. For settings and descriptions, see Alert Options below. To view your alerts from a page on the site, click the ellipsis (...) on the top line, and then click Manage My Alerts. 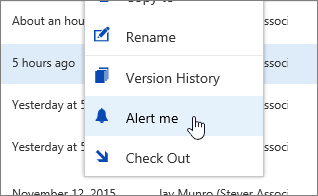 Note: From a document library or list, click Library or List (instead of Page) to find the Alert Me button. The exact names of the tabs vary if you are in a specialized list, such as a tasks list or calendar list. For example, a calendar list has Events and Calendar tabs where you can find the Alert Me button. Click the checkbox beside name of the alert that you want to delete. Click Delete Selected Alerts, and then click OK. 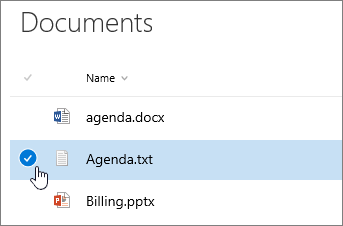 If you'd rather not get email or text messages, but still want to keep on top of changes in your document libraries, take a look at File activity in a document library. In the Alert me when items change dialog, the following settings are available for alerts on an item, file, link (where supported) or folder. Note: Not all settings may be available for all alert types or versions of SharePoint. Alert title This is the subject for the email or text message. It's pre-filled with the name of the document library and item name, but you can change it. Send Alerts To This is the user name or email you want the alert sent to. To enter more than one, separate the addresses with semicolons. 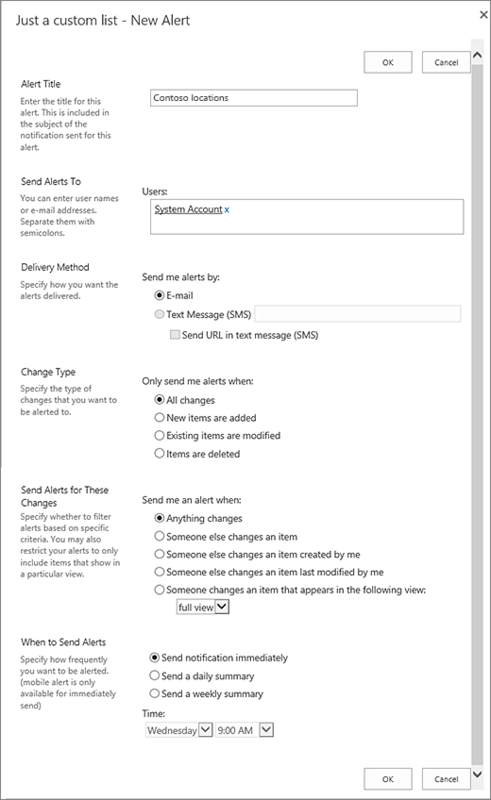 Delivery Method Choose email or a text message for alerts. For text messages, add the phone number and check the box if you want the URL of the item to be sent. If you want SMS and it's grayed out, talk to your SharePoint admin or IT dept. Change Type Choose to receive alerts for all changes, when new items are added, or existing items are modified or deleted. No alert is sent when an item is deleted from a view. 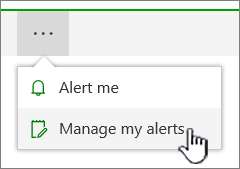 Send Alerts for These Changes This lets you pick the type of changes for which you receive alerts. You can pick when someone changes any file, link, or folder, or when someone changes a file, link, or folder you created or last modified. When to Send Alerts This specifies how frequently you get alerts. You can get notifications immediately when changes happen, or a daily or weekly summary. For daily summaries, you can set the time of day to send. On weekly notifications, you can set the day and time to send. The default is to send notifications immediately, but if your site is active or you don't need to know right away, you might want to choose daily or weekly summaries.